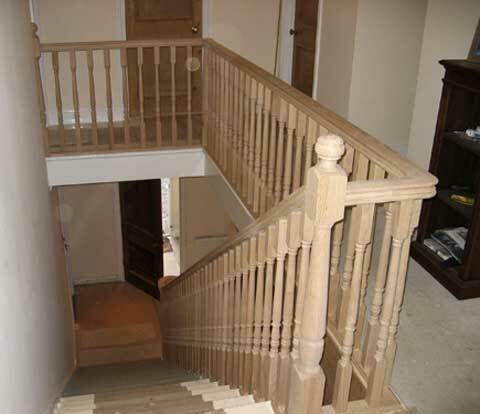 I have installed complete staircases for new houses or to replace existing but dated designs. It is important that the newal posts are correctly installed and firmly anchored and this usually involves removing the existing post completely and making a mortise on the new post. Next, the handrail is fixed in position at the correct height ready for the balustrades which need to set at even intervals no more than 10 centimeters apart. Once complete a new staircase can transform the interior of a house and it is worthwhile making sure that the staircase is professionally installed and to meet all the current building regulations.